What is a Fractional CMO and Why Do I Need One? This is a great question I am asked often! Chief Marketing Officers (CMOs) are not just marketing managers. Due to the intensive requirements of an effective CMO, you cannot hire a good one for less than a six-figure salary and your creative agency cannot honestly fulfill the role. This leaves many companies in a chicken-and-egg situation because your marketing effort requires leadership to effectively support revenue production which is required to finance another executive salary. A fractional CMO answers this riddle. 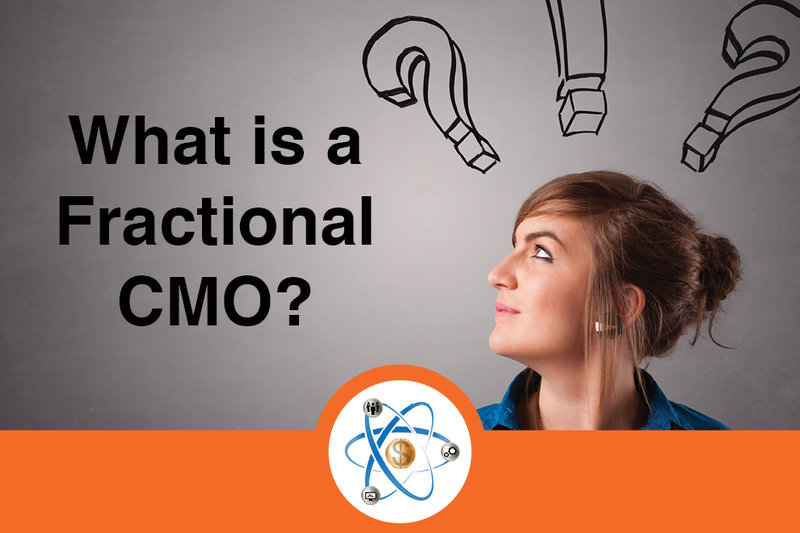 Now that we are considering Fractional CMOs, why wouldn’t you fill that role with your marketing agency? They offer the service, right? There are several reasons why but the key reasons are within the title itself. What is the role of a Chief Marketing Officer? Chief Marketing functionally means the leader of all marketing; external agencies, internal labor resources, and integration with all the other departments in your company. They work with your technology team, your human resources team, your finance team, your technology team, and your sales team. The CMO must hold your agencies accountable for results, evaluate their work quality, objectively consider alternative providers, and negotiate agency contracts. If your creative agency wants a long-term relationship serving your company, they should be disqualified from the Fractional CMO role as a direct conflict of interest with their own business objectives. Another key element to the title of Chief Marketing Officer is the Officer piece. An “officer” of your company has a fiduciary responsibility to develop and manage budgets, control the spending of those budgets, and measure the Return on Investment (ROI) for every dollar spent. There are many, many groups that want to spend your money, whether they are solopreneurs, agencies, or even your internal marketing managers who think that they are ready to be a CMO. If these wannabes cannot fulfill the following three critical components, they are not CMO material so you should not pay executive rates nor should they be “running” your marketing department. What are the key requirements of a highly effective CMO include? 1. Head of internal and external marketing initiatives. This involves multiple vendors, multiple employees, and fractional participation from other people within your organization. The person in this role should be able to tell you exactly how every single one of those labor resources works with the others to achieve the desired outcome for your company. They are your go-between for everything marketing and your executives, your investors, your customers and your employees. If they aren’t taking that integration role off the plate of your executive team, they are NOT a CMO. 2. Develop and manage budgets, process, and strategic planning. I’m not talking about a loose marketing pie-in-the-sky plans that have no dollars, process, resource or time allocations. I’m talking about a tight plan with a specific budget and the CMO having full responsibility for executing on that plan within that budget. If your marketing manager or agency is not able to develop and discuss with your executive team why you would hire an in-house employee versus outsource work to an agency, and why you would need multiple agencies instead of just one, then they are NOT a CMO. 3. Identify and hold marketing accountable to Key Performance Indicators (KPIs). CMOs have a fiduciary responsibility to their organizations for developing and holding the entire marketing organization accountable to Key Performance Indicators (KPIs), including themselves. If you do not have the right performance infrastructure within your marketing organization, you will waste money. And, if the person in charge of your marketing cannot develop and manage to KPIs, you need to get them help to do so–if they won’t accept this responsibility, then they are NOT a CMO. Your CMO needs to be very honest and very accurate on accountability, including for themselves. You need a CMO who will fire themselves if they don’t drive the results your company needs. That’s not an agency, and that’s not most marketing managers, so be careful who you assign as CMO. There are very qualified Fractional CMOs, and now you know exactly what to look for when selecting someone for that role–even as a contractor, it’s a critical hire to choose wisely.